Voki is a web 2.0 application with plenty of scope for classroom use, ideally with young learners and teenagers. Providing an editable avatar, Voki allows the students, or the teacher, to give a character a voice. The final product can be shared over a number of web-based channels. There are hundreds of applications for this tool, both in the classroom and at home, and I’m covering a couple of ideas with you here. The character can be shared on social networking sites, e-mailed, imbedded into blogs or websites, etc. Recording directly onto Voki can present problems – as sound quality and speed relies on local internet connection. It is often better to upload pre-recorded clips, or use the text-to-speech function. As always, test before use. If using the free version, students will need to register; with very young students it’s best to do this for them, prior to the class. Voki classroom allows a teacher to set up one account, and give access to each individual student, without the need to register each one. 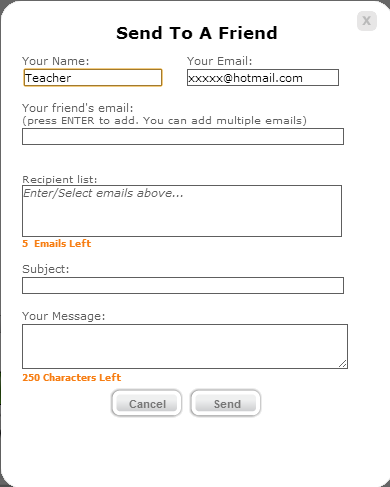 So go and grab your DOS and coerce them into signing the school up with an account…right now! Introductions: Guess who said what? Tell students that they are going to introduce themselves. But before they do, they must think of some interesting questions to ask each other. Model, and then mindmap questions together and put them on the board as they call them out. Review question structure where necessary, students should write the answers to five questions of their choice in their notebooks. – Do you have any hobbies? – What’s your favourite colour? – What’s your best subject at school? – Do you prefer the summer or winter – and why? Then should then transfer their answers using the text-to-speech option. 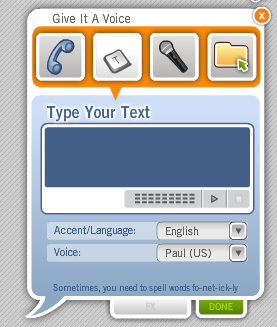 If you’d prefer, students could answer the questions in word, then cut and paste the text into Voki later. Just make sure they don’t create in Voki – or they could lose their work if the browser crashes. Once they have finished, they should save. Ideally, the Teacher should ensure that each avatar has been saved correctly, and then have the student share the avatar – sending it to teacher’s e-mail, or on a platform such as Facebook (class page) or blog. The teacher should open each Voki and play back for the whole class. Afterwards, the rest of the class must guess whose avatar is whose. Once the avatar’s owner is identified, the teacher can encourage follow up questions. You could link this to the Future Self lesson plan. Slightly simpler, but involving more free practice for teen learners; ask your students to record and upload an audio file to Voki, explaining why they want to learn English, and how they want to use English in the future – in sixty seconds. By the time I’m 24, I will have learnt to speak English perfectly. When I’m 19, I’m going to study English at university. Use the playback to present the avatars, and generate discussion in the classroom. This can then be uploaded to a class blog and shared with the parents. 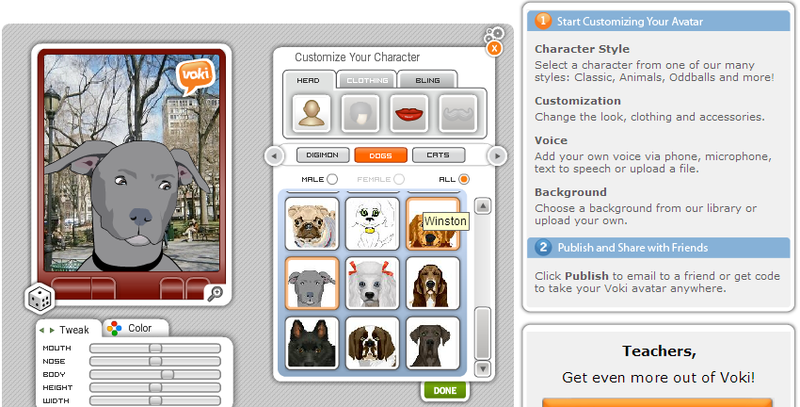 Tell us how do you use Voki? Designer Lessons by George Chilton is licensed under a Creative Commons Attribution-NonCommercial-NoDerivs 3.0 Unported License. Reblogged this on People's Code. I am an English teacher from Meiktila University of Myanmar . I’d like to use voki for improving my pronunciatiob in English and for getting support to teach my students. If I can use voki software to practise my English , I would be very happy. Looking forward to getting use voki.